Note: This game contains explicit language and some screenshots or videos shown here might contain words that are inappropriate for children. Mr. Robot:1.51exfiltrati0n.ipa (Mr. Robot:1.51exfiltrati0n.apk on Android) is a mobile game tie-in to the hit show Mr. Robot on USA Network. It’s a collaboration between the network, Night School Studio and Telltale Games. Night School Studio made the very popular PC and console game OXENFREE, which I totally would have played by now if I wasn’t so allergic to playing on a PC. Their work has been lauded for its strong characters and realistic dialogue. So they seem like a natural fit for a game that is all dialogue. And they delivered in leaps and bounds. 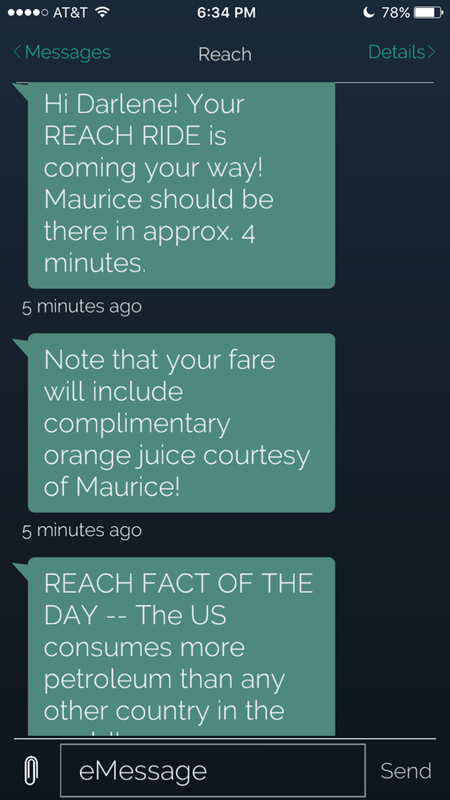 I can’t say I’ve played many text-based, real-time games, but this one comes closest to feeling like the real deal. It might not be perfect in every way, and I do wish they could have done even more with it, but the game is so well-written that the characters jump off the screen. 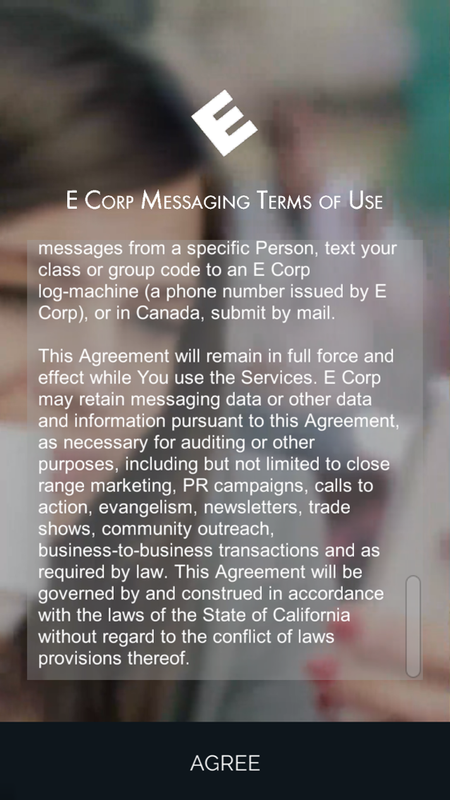 The basic premise is that you pick up a phone off the ground and open the E Corp Messaging app to create an account. The phone is soon hacked by its previous owner, who demands you help her out to make up for taking her phone. Having been told by the App Store description that the character is Darlene, I could hear her voice in my head even before she told me her name. I already watched the whole first season of the show, so I was able to connect her words with the character and get fully immersed in the world. You can watch the video below of the first ten minutes of the game (with my dialogue choices, of course) to get a better idea of what it’s like. The main reward for having watched the show is that you can hear the main characters in your head like that (although not all characters are as convincing as Darlene). But if you’ve already seen the entire first season, it does spoil things a bit. The game takes place between episodes 5 and 6 of the first season, so if you’ve seen more than that, you’re coming in with a little too much knowledge, things you wouldn’t know if you played the game when those two episodes had aired. So it’s a bit of an odd choice to release this game during the second season. If you haven’t watched any of it yet, I would recommend watching the first five or six episodes and stopping there to play the game. The game should be enjoyable without any prior knowledge of the show, but you will miss out on the experience of connecting the characters with their TV counterparts. The game is said to play out over the course of an actual week, but I finished it in a little under five days, and part of the time I was busy with other things so I let some time pass before responding to some texts. So it’s a little shorter than advertised, but it still provided about two to three total hours of actual gameplay dispersed throughout the days. Sometimes, if you don’t answer right away, Darlene will get impatient, making it feel a little more realistic than if she just sent off a text and then waited patiently for you to return. This is an important job she’s tasked you with, after all. Thankfully, though, the game doesn’t seem to penalize you for having a life outside it. If you want to take it very seriously and check for new messages the second they appear, by all means, you can do that. 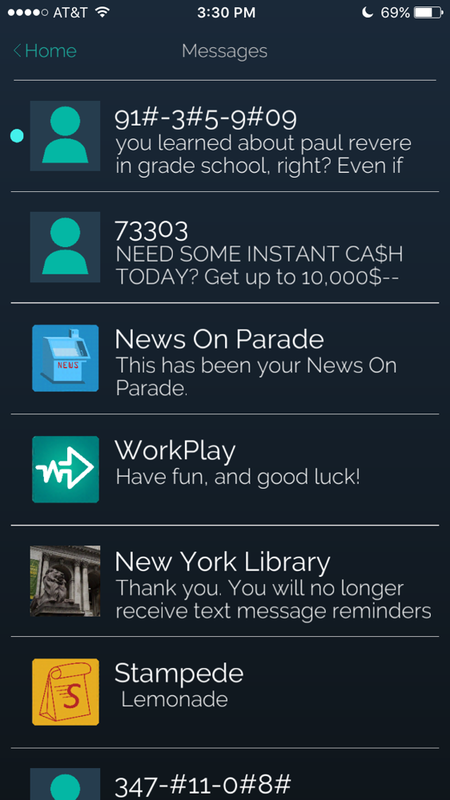 But if you’re busy, the game will happily wait for you after just a few annoyed texts. I do recommend going into the game with some patience, though. At times you might have to wait hours before something new happens. For me, it started off very slow with only a few minutes of texts before a thirteen-hour break. I was frustrated and worried the whole game would be that way. But then it picked up again and got really interesting. You can see that part in this video below. It’s also the longest session I’d had so far, and where the game sucked me in for good. I don’t recommend watching the whole thing, though, if you plan to play the game yourself. Once the game starts to pick up, you’ll be asked to complete certain tasks for both Darlene and someone who goes by just ‘E,’ related to their hacking-based revolution in the show. Fans of the show should have suspicions of who E is, but I’ll leave that out for this review so as not to spoil things. E actually thinks you’re Darlene, and I’m not really sure why Darlene couldn’t do most of the work he asks for instead of you, but that would make for a far less interesting game. While you don’t have the hacking skills the other characters do, your character is not an idiot. You can sometimes answer as though you are, but you usually have enough brains to do what they ask and get the job done, even if it’s not always in the most efficient way. You try to sweet-talk or outsmart people into giving you the information you need, but sometimes that doesn’t work and you’ll have to try blackmail. There are some moral questions, and I’m not sure what happens if you constantly try to refuse doing what you’re asked. I tried to be a good person when I could, but didn’t shy away of doing what was necessary. This is a game, after all! These sections of the game are suspenseful, too. I don’t think there’s a real fail state in the game, but the way it’s designed, I was actually a bit worried sometimes that I might have chosen the wrong answer. It creates tension and makes it seem like your decisions have weight even if they might not. I think that’s where the developers did a really great job. I don’t even care if it wasn’t possible to mess up, because it still felt like my actions had meaning much of the time. I also want to talk about how the texting aspect of the game is pulled off. 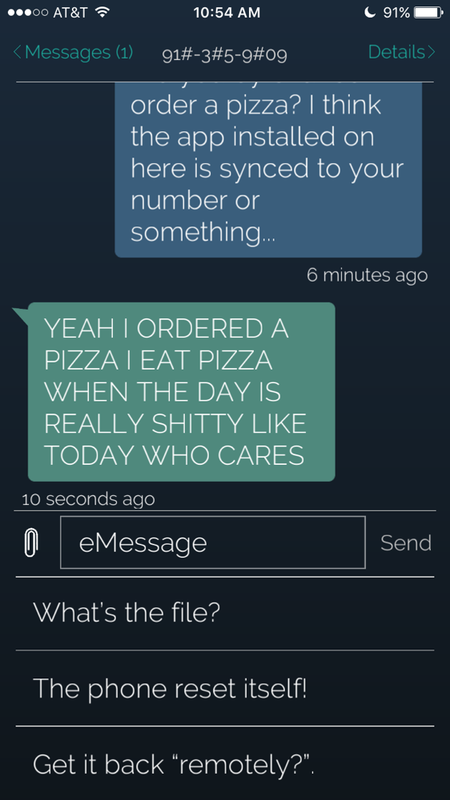 Even though you sadly can’t type in your own responses, it otherwise mimics a messaging app quite well. The characters make typos and sometimes fix them, sometimes don’t. 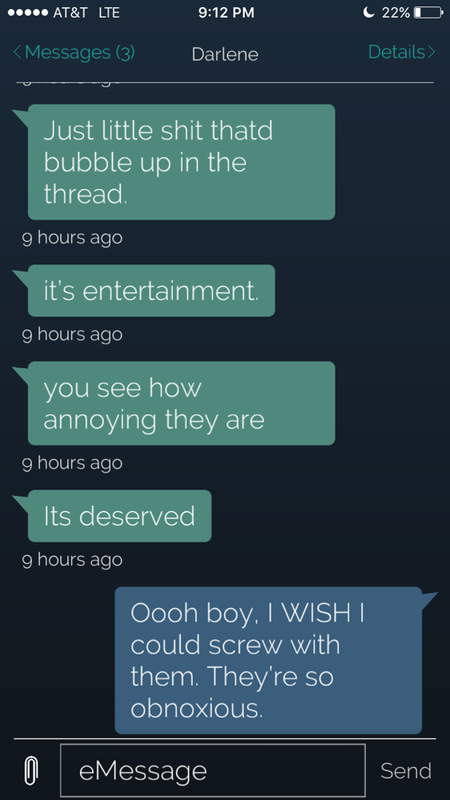 When it comes to your own texts, you choose between several responses each time, and can watch your own character type them out, fixing typos before sending (you seem to be more of a stickler for that sort of thing than the other characters in the game, and I’m perfectly happy with that). One of the things I loved about the game were the texts and spam not related to the main story. There’s a group of friends who think you’re their friend named Karen and they won’t accept that you’re not her. These are callous, self-absorbed people who make light of a friend’s sibling being terminally ill. I would never be friends with them in real life, but I loved getting texts from them to see what kind of stupidity they were up to. It would have been great to see even more of that during the down time, but the inclusion of these silly texts and spam fleshed out this world and gave the game more life than if I had been interacting with only the characters needed to move the plot along. Also, many of the characters you meet in the game are sleazeballs, just like in the show. There are very few truly likable characters on the show, and the game reflects that well. I did have a few minor issues with the game. As I said earlier, the beginning started off very slow. I understand that I began playing at 8:30 PM and it’s designed to take a break when the characters go to sleep. But I can’t believe a young rebel like Darlene goes to bed before 10PM and then wakes up at 9AM or so. I was very frustrated the first 15 hours or so owning the game. I would expect it to start off strong and pull me in before thrusting a long break on me. But once it picked up, I started to really enjoy it. Another issue is that notifications never worked for me. I have my phone on Do Not Disturb mode and the game never had a little red number on it like other apps do when I get a notification. At first this got on my nerves because I kept opening the app every five seconds to see if anything happened. But I learned to just relax and have the game work around my schedule instead of me around it. When some time passed and I had the time to spare for the game, I opened it and gave it my full attention. If you stress out over the fact that you haven’t heard from anyone in a while, it will be considerably less enjoyable. I’ve also had some some conversations get stuck in a loop until I chose different responses. I still managed to get through the game without any game-breaking bugs. However, there do seem to be some bugs that are plaguing some players who are getting abnormally long breaks. The developers appear to be hard at work fixing them, though. They’re very responsive to bug reports and I believe they’ve even pushed through an update to Apple already that’s waiting to be approved. If you do encounter a game-breaking bug, you might want to just wait for a patch, since this is a real-time game and starting from the beginning means you’ll have to catch up to where you were in real time. So you may want to wait for a patch to go through before picking it up. Also, the ending was a little confusing, and even made me question the entire point of what I was doing the whole game. But I can’t get into details about that without spoiling it, so I’ll discuss that below after the spoiler-free review. Still, the game is so well-written that I was much more immersed in this world than I have been in any other real-time games like this. It was impossible for me to forget about the game entirely once things picked up. I was always eager to go back in there and see who’s texted me. Obviously, I can’t tell how someone who has never seen the show will respond to the game. As I said earlier, in some ways it seems like it’s better to not know anything about the show, or at least not anything after the point where this game takes place. Having all this information already means I know things before the characters tell me (and, in some cases, don’t tell me). It’s weird having knowledge that the game doesn’t think I have. I really wonder what kind of experience this might have been if it had been released around the time the episode in question aired. It’s actually refreshing that a TV show tie-in doesn’t require knowledge of the show to enjoy it, but I wish it was a bit more rewarding for those of us who have watched it. Also, I think it would be cool if you could play the second time around without the real-time restrictions, just to mess around and try other dialogue options. I started over just to see what I could do differently in the beginning of the game, but I don’t think I would let the game take over my life for another week. I would like to just screw around with it on my own terms now. Hell, it might have even been cool if after the story ends, I could keep the phone and annoy the group of friends, maybe some other post-story content, instead of the game automatically resetting itself. Despite some mixed feelings on the game’s relation to the show, it was well-written and made me eager to play more games by Night School Studio. I hope they venture out into mobile territory more, perhaps releasing Oxenfree on iOS one day? I would even love to see a sequel in which Darlene contacts you again, because she knows you’d still have the phone. Imagine if you could play it while the events are happening on the show. But I imagine that would be too much work and who knows if the show will last long enough for something like that? Still, maybe this will open up opportunities for similar games. I wouldn’t mind seeing what kind of story Nigh School Studio could come up with on their own. I could probably go on all day about what might have been, but the truth is we got a really solid game here. Even if it’s not the messaging game to end all messaging games, it takes us a big step closer to that point and is worth your time if you’re a fan of interactive fiction or the show itself. I highly recommend playing this gem. You can download the game here. I was confused at the end of the game because when you finally find the file Darlene wanted off the phone, it ended up being a photo of her father that’s shown at the end of season one of the show. It’s a photo of hers and Elliot’s father with the two of them as kids. At this point in the show and the game, you don’t know this. You don’t know they’re siblings (although E says something that alludes to this), so it’s mostly meaningless unless you’ve finished the first season. So that was a little odd to begin with. But besides that, she says she made copies of it to every PC and hard drive. If that’s the case, why did she need the copy off her phone? That one little detail made me question the whole point of the game. Still, I enjoyed the journey, even if the ending was a bit off and a little disappointing. What do you think? Did I miss something or was that really a loose thread in the story? Let me know in the comments! 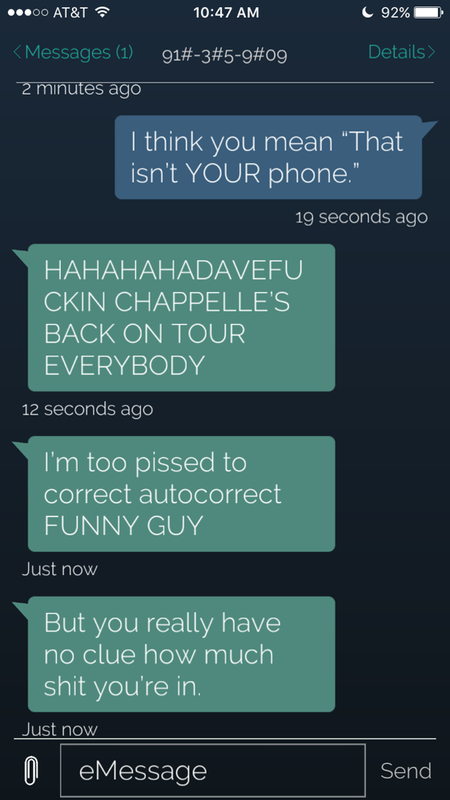 I also think Elliot’s texts sounded a little off for him much of the time. I couldn’t even picture him texting at all, ever. He also seemed too talkative. At times I thought maybe it wasn’t him, but it was Mr. Robot instead (who is technically still him). Perhaps it was both of them, or the BLOCKED number was Mr. Robot? Either way, I guess some artistic license was necessary to make the game work. This game is too slow and passive. Pretty much nothing of interest happens and given the ending you’ve described, I’m glad I deleted the app. I would like to get my money back.